As most of you have probably heard by now, Google posted a significant update to its iOS Maps app last night. The 2.0 update brought about a number of new features, including enhanced navigation, indoor maps, iPad support and more. As noted by several readers, the new version of Google Maps includes an easter egg —similar to the one discovered in the Android version—that allows you to view maps offline. It’s hidden, but once you know how to find it, it’s very easy to use. 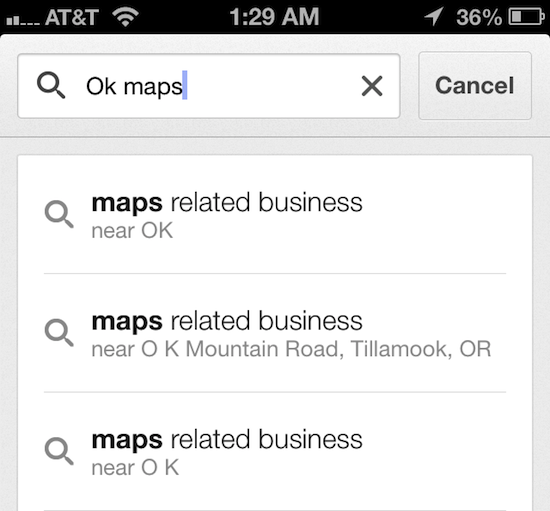 All you have to do is navigate to, or zoom into, the area that you want to cache for offline use and type ‘ok maps’ into the search box. This will save data at all zoom levels (down to the street) unless you are too far out, which it will warn you of. The implementation of this feature isn’t ideal, but it would certainly work in a pinch. For instance, if you were flying into a new city, you could cache the area just before boarding the plane so you could familiarize yourself with it while in the air. Looking to clear the cached data? That’s easy. Simply tap on Settings > About, Terms & Privacy > Terms & Privacy > Clear application data. An alert will pop up, prompting you to agree to the move. Which you of course will, and the data will be cleared. 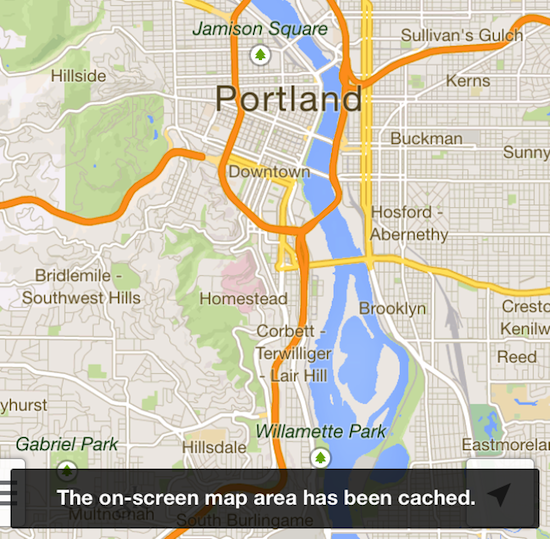 At any rate, the feature is there and rounds out an impressive update to Google Maps. It’s one of the few app offerings I can recommend as a solid Apple Maps alternative. If you haven’t downloaded it yet, you can find it in the App Store for free.